The lawyers and attorneys at National Injury Help are currently accepting defective hip implant claims from those hurt or injured from Wright Profemur Hip Replacement Implant. The defective hip implant manufacturer’s Wright Medical PROFEMUR model is showing multiple signs of failure due to friction of the devices internal parts. When these parts begin to wear down, it can lead to the parts becoming unattached or cause injury from a fall. The FDA has recorded at least 1,000 complaints related to this hip replacement, and there could potentially be many more due to the amount of these devices being used. Wright Medical Technology based in Arlington, Tennessee, claims that over 80,000 modular necks have been implanted since 1985. Many of the most common problems reported for the Wright Medical PROFEMUR model include; loosening, severe pain in the hip area, fracturing of the device, possible migration of the metal into different body parts causing metallosis. Falls can also occur when the device begins to fail. All of these problems mean people, who’ve had these hip implants, may need revision surgery to correct the problems. Can I sue for a Wright Profemur Hip Replacement Problem? Yes! If you or someone you love has had any complications from the Wright Profemur Hip implant, we can help in getting you justice for your pain and suffering. Our defective hip implant lawyers and attorneys are now talking to, and signing people up for the class action lawsuit forming. There may be substantial cash settlements claims from this. How to File a Wright Profemur Hip Lawsuit. The first step in filing a Wright Hip lawsuit is to either call us toll free at 1-800-214-1010 or simply fill out our Wright Profemur Hip Claims Evaluation form here: https://www.nationalinjuryhelp.com/wright-profemur-hip-evaluation/ it only takes 2 minutes to see if you qualify for a case award – but act now as there may be statutes of limitations that apply. Recently a Los Angles jury awarded a plaintiff $4.5 million settlement after suffering serious complications from the implant. We’re sure that more people will join the class action lawsuit. Hurt from a Wright Profemur Hip? Any internal hip injury is inherently serious, and people who have been harmed in this manner need to stand up for themselves and protect their legal rights. However, this is best done with the help of Wright hip replacement lawyers who have been helping injured clients all over the United States hold those responsible for dangerous medical devices accountable. If you face this difficult hip situation, contact National Injury Help, today to schedule a free initial consultation. If you, or a loved one, have had serious complications or revision surgery due to the Wright Profemur, contact one of our attorneys at National Injury Help today. 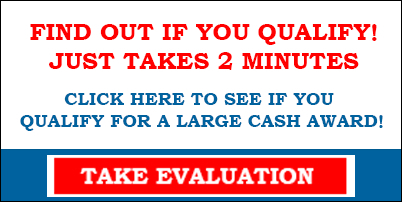 Click the banner below to see if you qualify for a large cash compensation.